An Inupiat community in far northern Alaska is mourning the deaths of two whale hunters who died when their boat capsized while they were towing a bowhead whale home to help feed residents. Despite their grief, locals still had to butcher the animal when it reached Utqiagvik. Pausauraq Jana Harcharek, a relative of one of the hunters, couldn't bring herself to watch. "It was too devastating," she said Tuesday. Harcharek said her cousin Ron Ron Kanayurak, a whaling crew member, died Sunday in the accident. The other hunter was whaling Capt. Roxy Oyagak Jr., she said, adding that she had gone to school with him. Both men lived in Utqiagvik, located 725 miles north of Anchorage. Harcharek said the deaths have been heartbreaking to people in the community and beyond. "They were people who just gave from their hearts — always," she said. Utqiagvik is among 11 Alaska Native communities authorized to hunt bowheads for subsistence. The Arctic Sounder newspaper reported the hunters were in a boat on a towline and flipped in rough water. Men in about a dozen other boats rushed to help but they couldn't get Kanayurak and Oyagak out of the water in time, the newspaper said. 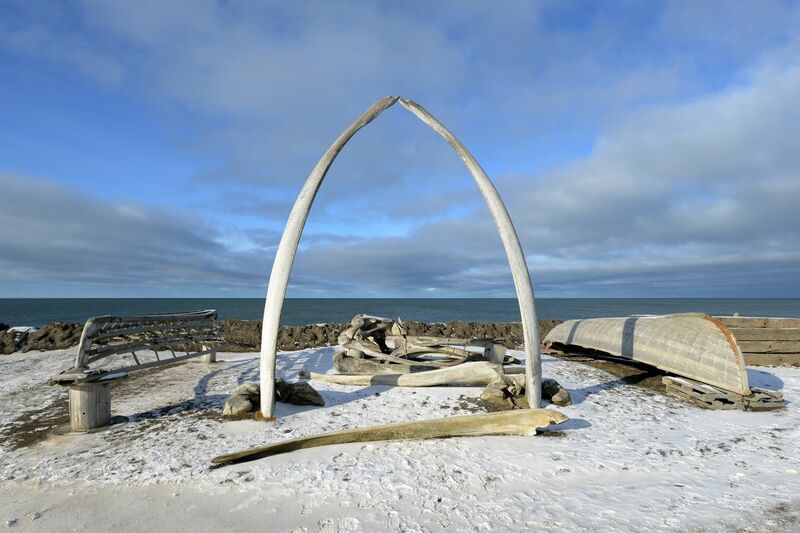 North Slope Borough Mayor Harry K. Brower Jr. has asked the media to respect the wishes of the whaling community and the whaling captains of Utqiagvik in not releasing more information. Officials in North Slope Borough have refused to release information about the accident, including the victims' names. Representatives of the Alaska Eskimo Whaling Commission did not respond to numerous requests for comment.